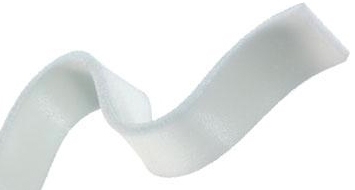 Allevyn Plus Cavity features a core of highly absorbent hydrocellular foam chips, outer non-adherent perforated film, a range of sizes and shapes, and soft pliable construction. ALLEVYN Plus Cavity dressings are used for the management of deep secondary healing wounds, particularly for indications such as stage III and IV pressure ulcers, deep leg ulcers, cavity wounds, excisions and post-op wound dehiscence. Conforms to the wound bed to support tissues and provide for patient comfort during wound management. Prepare and clean the skin surrounding the wound area. SKIN-PREP wipes may be used if appropriate. Cover the ALLEVYN Plus Cavity dressings with an OPSITE Film Dressing. Alternatively an absorbent dressing pad and fixative sheet (HYPAFIX Non Woven Adhesive Dressing Sheet) may be used if the skin around the wound is very delicate. Remove secondary dressing and carefully remove ALLEVYN Plus Cavity using gloved hands. The frequency of change depends on the quantity of exudate and the condition of the wound. Typically, ALLEVYN Plus Cavity can be left in place for 3 days from the start of treatment and this should be quickly extended to a weekly change. ALLEVYN Plus Cavity should not be re-used. Avoid using forceps to place the dressing into the wound as this may puncture the dressing. Ensure the number of dressings used in the wound is noted upon application and checked upon removal. Do not use ALLEVYN Plus Cavity with oxidizing agents such as hypochlorite solutions (eg. Dakins) or hydrogen peroxide, as these break down the foam filling of the dressings. Do not use in deep cavity wounds with small openings. Not indicated for use on third degree burns.